Three times the turn up. One scroll through up-and-coming rapper, Pell's social media accounts and you already know he's a laid back dude. His phone number? Listed in his profile, along with a caption reading, "text me on my cell any time." If that's the first introduction you've had to the New Orleans-bred musician (which I'm sure is not the case), you'd get that he's down to earth—after listening to the messages present in his music, however, it's solidified. 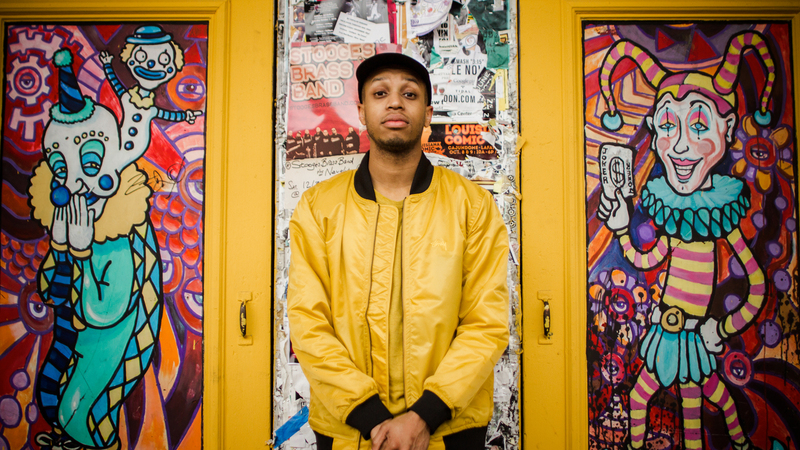 The 24-year-old creative's debut mixtape, Floating While Dreaming, shot him to the top of every "Rappers You Should Know" list when it was released back in 2014, and he's been steadily churning out impressive lyrical content ever since. His rhymes draw heavily from his past, one which saw the rapper uprooted from NOLA after the devastation of Katrina. Mixing said life experiences with melodic intricacies and infectious beats, the "All In A Day's Work" artist is continuing to prove why he's one to keep your eye on. If his 2015 Dave Sitek-produced EP, LIMBO, wasn't enough to get you hooked, his live shows will be. Switching between hyphy-as-hell and sentimental at the drop of a dime, saying that Pell keeps audience members on their toes would be a severe understatement. This is why we were psyched to find out that the "In The Morning" creator was hitting the road for not one, not two, but three Red Bull Sound Select Presents events this month. Austin, Nashville, and Miami—get ready, the "Queso" creator is coming to your city. Check out more details below (plus ticket info), and make sure to Track him on Bandsintown so you don't miss another live show! 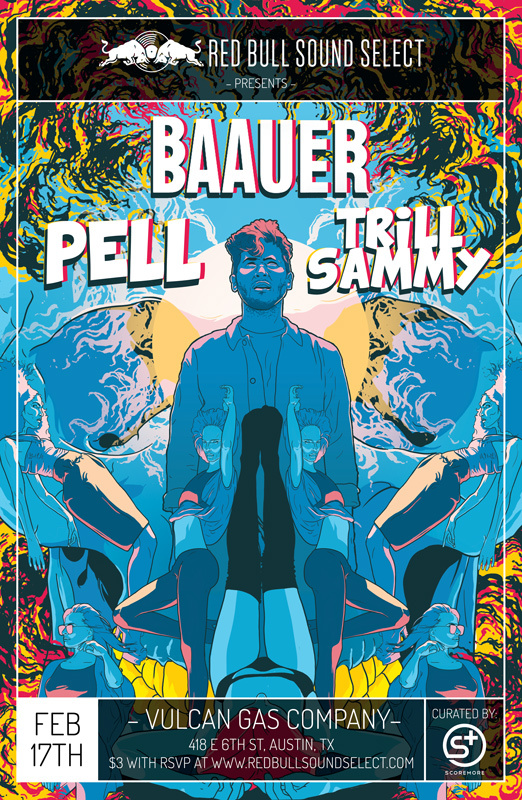 Pell will be hitting the decks on February 17 with the father of the "Harlem Shake" movement, Bauuer, for a show that you absolutely won't want to miss if you're living in Texas' capital city. The cherry on top? Houston's Trill Sammy is also on the roster for the performance at Vulcan Gas Company. RSVP for $3 entry here. 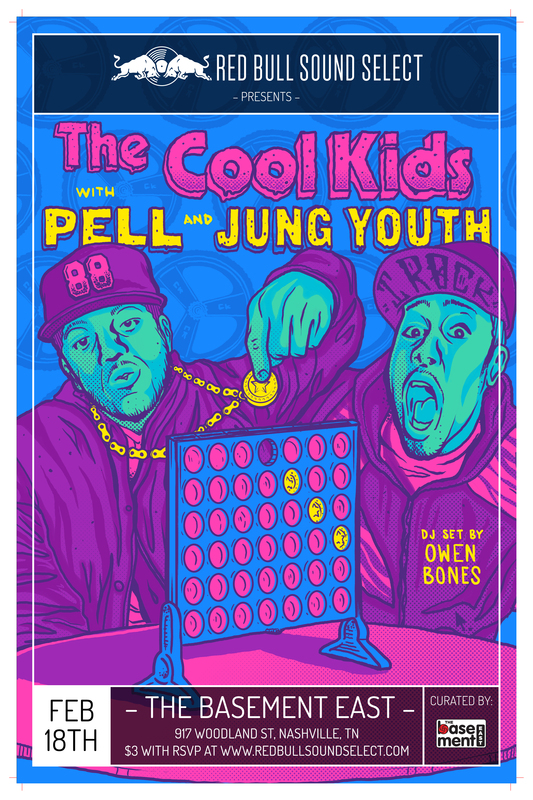 In addition to newly reunited rap duo, The Cool Kids, Pell will be bringing the heat to The Basement East on February 18. Of their reunion, the two-piece said, "We came in, we changed sh*t up and it's going to continue. It's part two now." This show will be a can't miss for a bevy of reasons, another one being that Nashville's own Jung Youth will be performing in addition to a DJ set by Owen Bones. Tickets for this show can be found here. If sunshine, a great lineup, and an awesome venue are your "thing," then Red Bull Sound Select Presents' event on February 24 at The Hangar in Miami is for you. 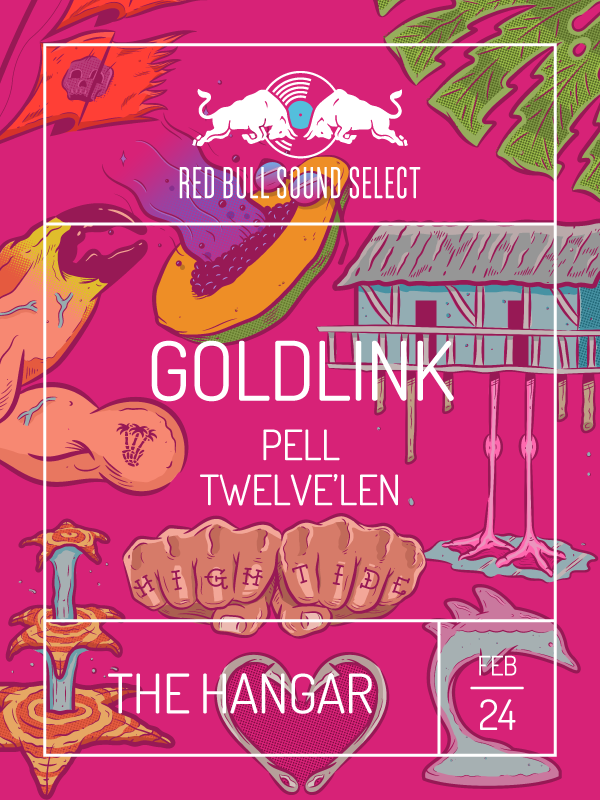 In addition to Pell, Washington DC rapper, Goldlink will be in attendance, as well as up-and-coming emcee, Twelve'len. Don't miss your chance to check out this triple threat live by ensuring your spot here.